Our New England lacrosse camps strive to provide young players with the opportunity to improve their skills by learning from the top lacrosse coaches in the sport—and we do it while having fun and encouraging positivity. At GameBreaker, we put on an abundance of lacrosse camps in New England each year. We offer both boys and girls lacrosse camps, and we happily welcome players of all skill levels and almost all ages (most range from ages 6-17). Our lacrosse training camps in New England are primarily held at top universities or high schools with strong lacrosse programs, and they are held throughout the summer. Our New England lacrosse camps provide four days of immersive lacrosse action and we offer both extended-day camps and overnight camps. If you have a passion for lacrosse, or you think it would be a fun sport to learn, then our lacrosse camps in New England are for you. While there are other lacrosse camps in New England, none of them compare to GameBreaker. 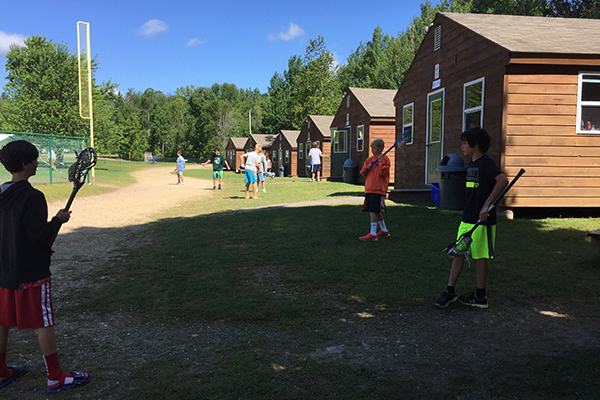 There’s a reason we continue to be the most attended New England lacrosse camp. First, our coaches are some of the sport’s best players and/or proven coaches at the college or high school level. They are committed to providing you with the individual training you need to improve your skill level immensely, but they also strive to teach you how to be a good sport, how to work on a team, and how to take on a leadership role effectively. Additionally, our lacrosse camps are the only ones in the country that make sure all of our staff is Double-Goal Certified by the Positive Coaching Alliance. This certification means that our coaches want to help you build strong character traits in addition to unrivaled lacrosse skills. They want you to be a role model on and off the field so you can be successful wherever life takes you. And, of course, no lacrosse camp in New England would be complete without a hefty amount of fun and competition. We host daily games with prizes and give out awards to recognize players. 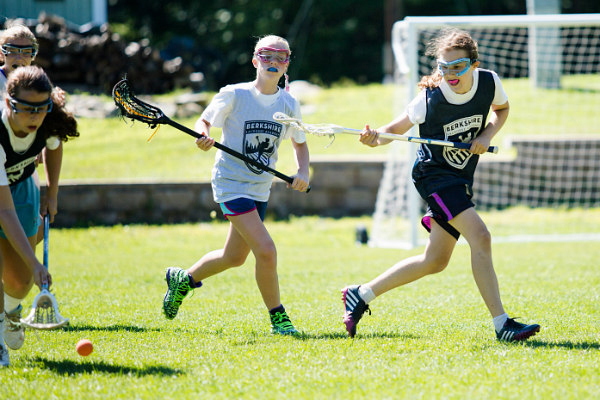 At our New England lacrosse camps, you will work on every aspect of your lacrosse game while building lasting friendships and learning valuable life skills. The curriculum at our lacrosse training camps in New England is unlike anything else. We have developed a progressive learning program that gradually increases the skill level over the course of the camp. With 10 distinct clinics available, you will be able to noticeably improve every aspect of your game. Some of the lacrosse skills we work on include: dodging, ground balls, defense skills, fast breaks, shooting, stick skills, triangle offense, and more. And we don’t just teach these skills to an entire class hoping you can keep up: we work with you on an individual basis to make sure you are spending your time on the skills you need the most help with. Our goal is to have you leave our four-day lacrosse training camp in New England as a better player than when you entered, and we have a very high success rate. If you want to attend the very best lacrosse camp in New England, then you will not want to miss out on signing up for the New England lacrosse camp nearest you. Learn from the pros, build friendships, make memories, and further ignite your passion for lacrosse. Opportunities like this only come around once per year: don’t miss out!